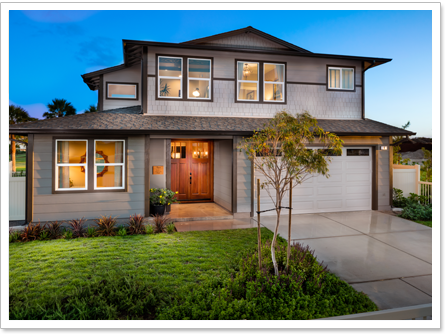 If you like new construction, or just newer-looking manicured neighborhoods, consider Ewa Beach real estate (Ewa is pronounced "eh' vah"). The community of Ewa is located on the southwest side of Oahu, and is a huge plain of newer subdivision homes. There are still new brand homes in Ewa Beach being built by Gentry, Schuller, and Haseko, and this construction boom will probably continue until the year 2025. The Ewa Plain consists of several neighborhoods - Ewa by Gentry, Ocean Pointe by Haseko, Kapolei, Westloch, and several smaller older developments. Gentry itself has about 20 different neighborhoods, including new ones like Haleakea, Cypress, and Latitudes. When you go there for the first time, you'll likely think to yourself, "Wow, this is pretty nice! There are new homes everywhere!" To people visiting Oahu from the mainland, it's surprising to find a large selection of newer homes in Hawaii for a reasonable price. Why are Ewa Beach homes nicer, newer, and cheaper than other areas? One word - traffic. You can get a nice new three bedroom 2 bath 1800 sq. ft. house in the Ewa area for about $700k. That same house would cost about $1 million in Hawaii Kai, on the opposite side of the island, but you have to drive about an hour each way, up to 2 hours each way some days. In Oahu, location is everything, and Ewa Beach is about 45 minutes to an hour from downtown Honolulu in traffic, which is the primary reason it's cheaper than other areas. For less money, you can get a bigger, newer and nicer looking house in Ewa Beach than in other parts of the island, and you just have to live with the drive time. And many people feel that it's worth the drive. With new shopping malls, newer schools, newer homes, and plenty of golf courses, life on the Ewa side of Oahu is pretty great for many people. You can still buy brand new Ewa Beach real estate from builders right now for about $650k. Of course, there are also high-end homes for over $1 million in Ewa too. 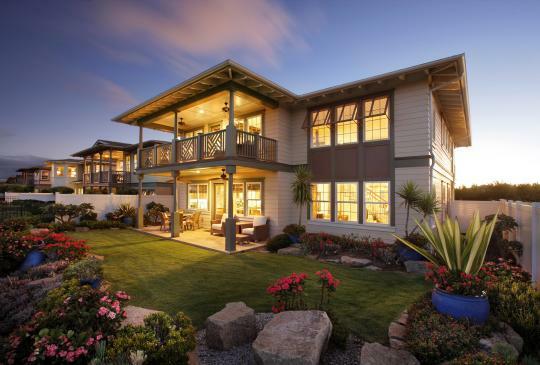 There are some beautiful golf course frontage homes in Hoakalei that are as high as $1.4million! These are over 3500 sqft and have everything you might expect from a semi-luxury home. Improvements in Ewa Beach and Kapolei! The City and County of Honolulu widened the road into Ewa Beach back in 2013, so there is way less traffic than there used to be, once you get off the freeway. The short drive on Fort Weaver road that once took over 30 minutes now takes about 5. Also the State has built a new courthouse and a UH Campus in Kapolei, which has eased traffic a bit as fewer people have to drive all the way to Town. And now with new malls and a connecting road between Ewa and Kapolei, things are really looking up in the Ewa Plain. Ewa Beach offers something that people really like in spite of the commute to town: new affordable homes. There are over a hundred new homes being built at any given time in Ewa. And if you like golf, Ewa and Kapolei have the most golf courses per square mile on Oahu. Kapolei now has huge mall being built called Kapolei Commons, with dozens of stores, a movie theater, and more. With Target as its anchor, it's now the newest and nicest mall besides Ala Moana. We have helped dozens of clients buy homes in Ewa and Kapolei, and all of them have been very happy living there. In fact, I have had many clients move back to the mainland who have told me that they missed Ewa Beach and their big beautiful home! Unique boutique 'surf style' home on large level lot. Above ground construction.